Three years after the Revolution of Dignity, the Ukrainian economy has stabilized and is ready for growth. Will the growth be fast or slow? Dangers lie ahead, but opportunities prevail. Success is easily taken for granted, so it is worth recalling what Ukraine has accomplished in the past three years. An unsustainable budget deficit of 10 percent of GDP has now been brought down to about 3 percent of GDP, mainly through cuts in public expenditures. The public debt has leveled out at 80 percent of GDP, while the IMF had feared it would spiral out of control. The government has sensibly reduced the exorbitant payroll tax from 45 percent to 22 percent. Foreign payments have reached balance thanks to a necessary devaluation of the hryvnia, and the exchange rate has stabilized on the market. Ukraine’s international gold and currency reserves have surged from $5 billion in February 2015 to $15 billion, sufficient for a gradual liberalization of the strict currency controls. Ukraine accomplished this while Russia deprived it of one quarter of its prior exports through draconian trade sanctions. With the nationalization of PrivatBank on December 18, the National Bank of Ukraine (NBU) has nearly completed an impressive cleansing of the corrupt and undercapitalized banking system. Owing to its strict monetary policy, the NBU has reduced inflation from a high of 61 percent in April 2015 to 12 percent today. Ukraine has carried out major structural reforms. The unification of energy prices deprived corrupt gas traders of up to eight percent of GDP. The e-declarations of wealth will deal a major future blow to corruption. The ProZorro public procurement system does so as well, and so do deregulation and improved corporate governance. Yet none of this offers the Ukrainian people much solace. The economy started growing by 2 percent in the third quarter of 2016, but only after a frightful slump of 17 percent in 2014-15. The quality of public services must also improve. These are the great hopes for 2017. 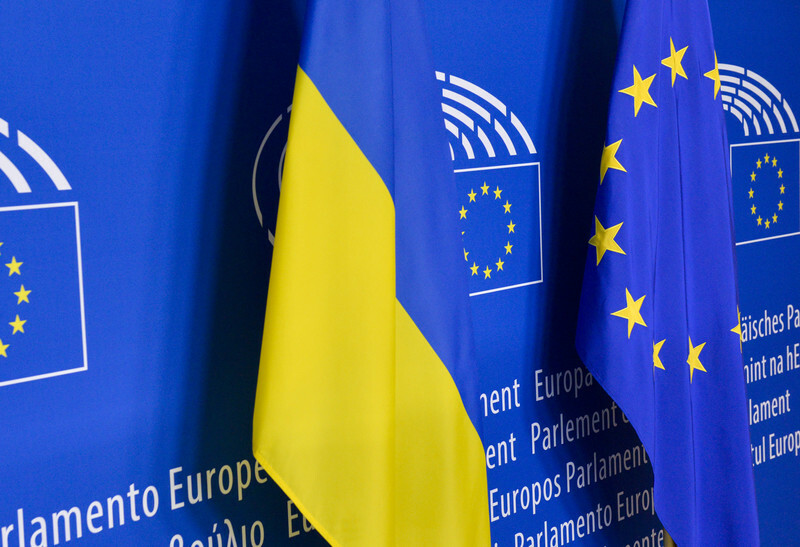 In the new year, reform of the state administration should finally start in cooperation with the European Union. The byzantine top government structures need to be simplified, modernized, and opened up. Acting Minister of Health Ulana Suprun has launched the first real reform of the Ukrainian health care system. Minister of Education Lilia Hrynevych is sensibly trying to restore the twelve-year school system that was vandalized under Viktor Yanukovych. The most important reform of the state is the judicial reform that was legislated last June. A new Supreme Court is supposed to be composed in March. Hopefully, a reformed government will interact better with the private sector. More deregulation is gradually taking place, but do not expect significant improvement of the fiscal or customs services. That is likely to take another year. Current forecasts suggest 2-3 percent growth in 2017, but it should be the year that Ukraine takes off with a much higher growth driven by exports to Europe, the Middle East, and China. Lower inflation and interest rates should spur credit expansion and drive higher domestic investment. Energy production should rise with lower taxation. Yet our forecasts must not be too rosy. The greatest threat to Ukraine’s immediate future is US President-elect Donald Trump, who seems to be dying for an early deal with Russian President Vladimir Putin. The victim is all too likely to be Ukraine. Another Russian threat is the arbitration case between Naftogaz and Gazprom in Stockholm. Naftogaz claims $28 billion and Gazprom $39 billion, which renders this the biggest international arbitration case in history. A verdict is expected in the second quarter, though any settlement would presumably take years. Traditionally, Ukraine received about 4 percent of GDP in foreign direct investment each year, but this has effectively been zero since 2014 because of Russia’s military aggression, and minimal recovery is expected in 2017. By contrast, Ukrainian domestic concerns seem relatively limited. Prime Minister Volodymyr Groisman aspires to the legalization of private sales of agricultural land by 2020, which might be realistic. After having failed to privatize the Odesa fertilizer plant twice, privatization has stalled. Corruption scandals are ample and they are welcome because they expose and impede corruption. In view of Ukraine’s substantial reform attainments and embattled position, one would hope that the international community would mobilize $5 billion a year in international investment credits to compensate for some of the great damage Russian aggression has caused to the Ukrainian economy. Anders Åslund is a senior fellow at the Atlantic Council in Washington. He tweets @anders_aslund. Ukrainian IT industry employs 100,000 people →← Happy Holidays and New Year! Joyeuses fêtes et bonne année!